Future advancements in MEMS, aerospace applications, information storage, biotechnology and many other fields will require extensive use of engineered surfaces and interfaces. While many surface modification processes are available today, the application of these processes, as well as an understanding of their limitations, will require a fundamental knowledge of a broad spectrum of processing and properties issues. New experimental techniques show promise in helping to advance the technology of engineered surfaces. 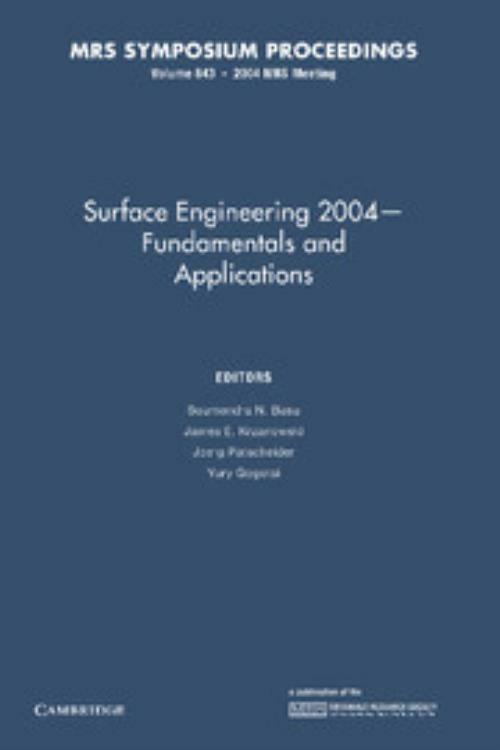 This book covers a range of topics related to surface engineering, surface modification and surface mechanics and reflects the interactions of researchers from many fields whose goal it is to enhance performance of engineered components and devices. Topics include: the effects of coating nanostructure on hardness; new developments in super-low friction coatings; control of stresses during surface modification; modification of surfaces and coatings using ion beams and lasers; and new methods for synthesizing and characterizing engineered surfaces and coatings. Soumendra N. Basu Boston University. James E. Krzanowski University of New Hampshire. Yury Gogotsi Drexel University, Philadelphia.